Mostly focused on larger vehicles like trucks and SUVs, GMC is an extension of General Motors, one of the largest auto companies in the world. Many owners of GMC vehicles depend on them for a wide variety of daily tasks, meaning they need a reliable service center to keep their GMC on the road and functioning optimally. If you’re one of these people, you’ve found the right place to be. Jerry Lambert Automotive is proud to offer decades of experience and service on GMC and numerous other vehicle models, with trusted staff and mechanics who will help walk you through every step of the process. Whether you need a routine tune-up, a service check or a full-on repair of an important area, we can handle it with zero hassle. 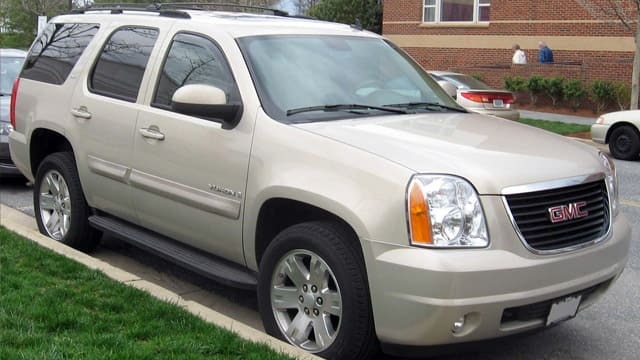 Are you driving a GMC SUV? What about a van or other utility vehicle? A truck, perhaps? It’s all gravy to us. Our mechanics have seen every GMC model numerous times, and there’s no issue we can’t diagnose and make right in short order. That’s another big draw of our shop – we give you the highest level of service possible for your car, and we do it faster than the competition. Maybe even more importantly, we’re transparent. Seemingly every driver has a horror story about being ripped off by an auto shop – those don’t come from Jerry Lambert Automotive. We won’t lift a finger on your vehicle without your say-so, and our mechanics will explain every element of their process to you in detail at your request. Never worry about wasting our time or being intimidated by language you don’t understand; our pros are here to explain things to you and keep you comfortable with everything happening to your vehicle. So what are you waiting for? Residents of Salt Lake City, Murray, West Valley City, West Jordan and other surrounding areas are welcome to call or bring GMC vehicles in need of service to our convenient, central SLC location. Speak to the pros at Jerry Lambert Automotive to learn more.